Phones Answered 24/7. Same Day Service. Should I Change My Air Filter Soon? Have you noticed something strange with the grand total on your energy bills recently? If so, that can be a sign that you used your cooling system a tad more than usual — but that’s not necessarily always the case. In fact, it’s possible that your system worked harder than it had to when it was on, thanks to a dirty air filter. When a filter is dirty, it will block the airflow to your system, creating a muffled passageway. This will then make your unit “gasp” for air and work overtime to give you the cool air you’re looking for. When you walked past an air vent in your home, did you happen to notice cold air coming from it? If not, that’s a common sign that you’ll need to replace that air filter right away. As mentioned earlier, since a dirty air filter blocks the air flow in your unit and makes it work twice as hard to get the results you’re looking for, it may take a very long time for your home to actually cool down. Another sign that you should change your air filter soon is that your unit constantly needs repairs. Typically, a central air conditioner will need a few repairs here and there — but if it happens to be a routine every month, then you’ll want to weigh out the odds. Since a dirty filter will make a unit work much harder than it has to, it will eventually cause it to break under pressure — which is enough to be an eye opener for anyone. Does your AC Need some TLC? We can help! Learn more about our air conditioning services here, and schedule an appointment with us today to explore your options and get a professional estimate! Extremely happy with the results. 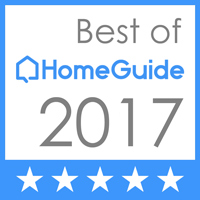 I have used this company personally and as a home inspector have recommended them to my clients and everyone has been extremely happy with the results, especially the high level of customer service and their reasonable prices. I would encourage anyone needing plumbing services to give these guys a try, you will not be disappointed!! These guys are the best. Reliable and Honest. I've used a lot of plumbers in my real estate business, and no one can touch these guys. Mike Roberts and his crew are totally professional, and above all honest. I only use them now, and highly recommend them. Plumbing Medic is a great company with outstanding results. They come prepared and know what you need without overselling you something you don't. I appreciate Mike Roberts professionalism and they run a tight ship here. I would rely on them for my plumbing needs. I have had Plumbing Medic do work at my home and commercial building. The work has always done correctly on time at a great price. Don't see your town listed? Give us a call! We service valley wide. 2019 Plumbing & A/C Medic, Inc. Plumbing & A/C Medic ("us", "we", or "our") operates the http://plumbingandacmedic.com website (the "Service").